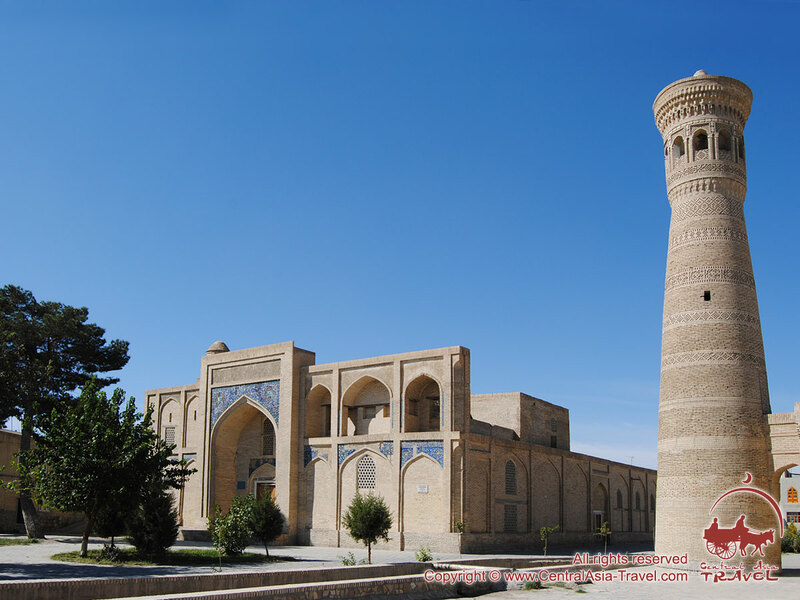 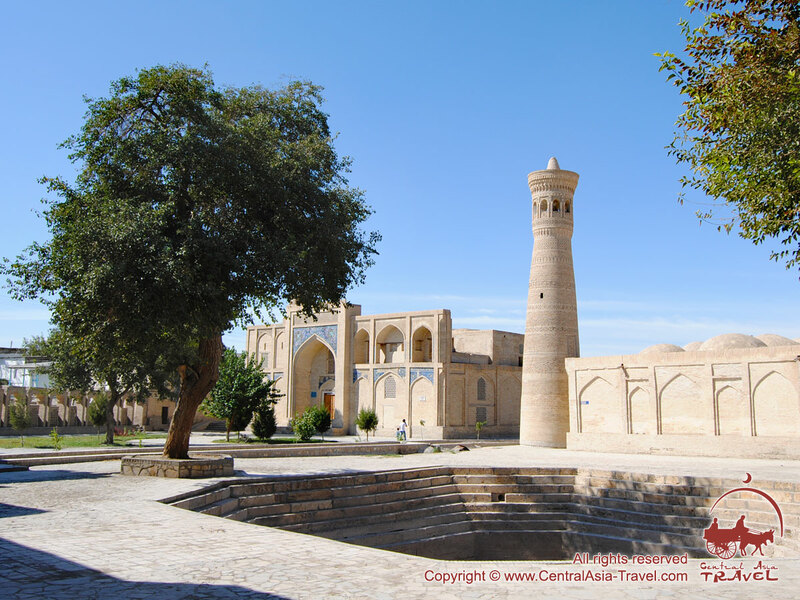 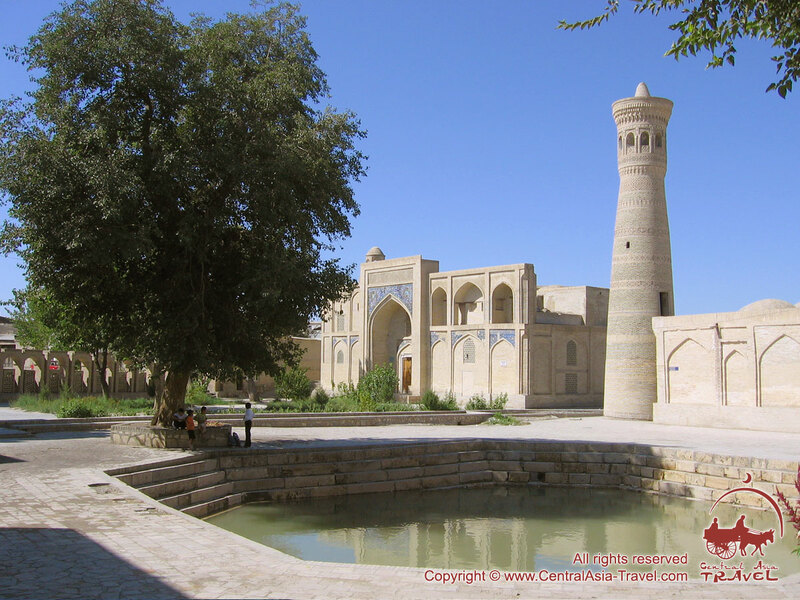 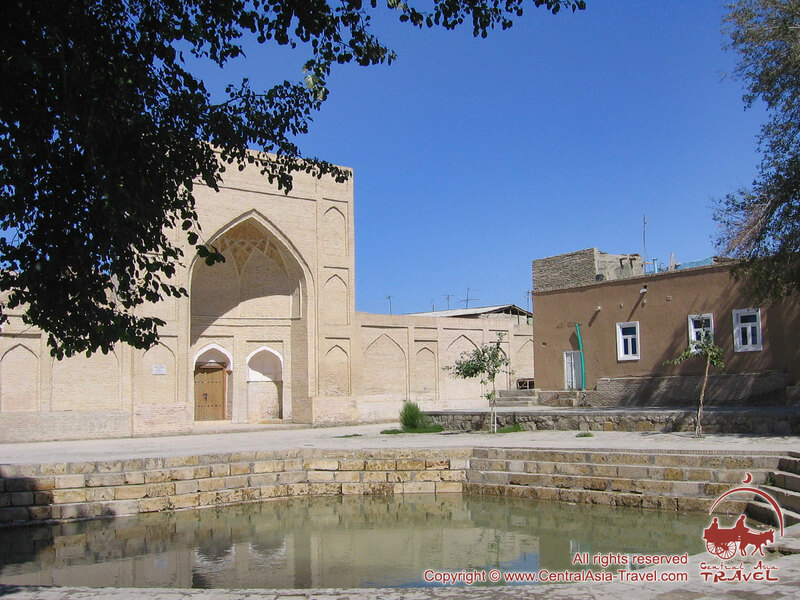 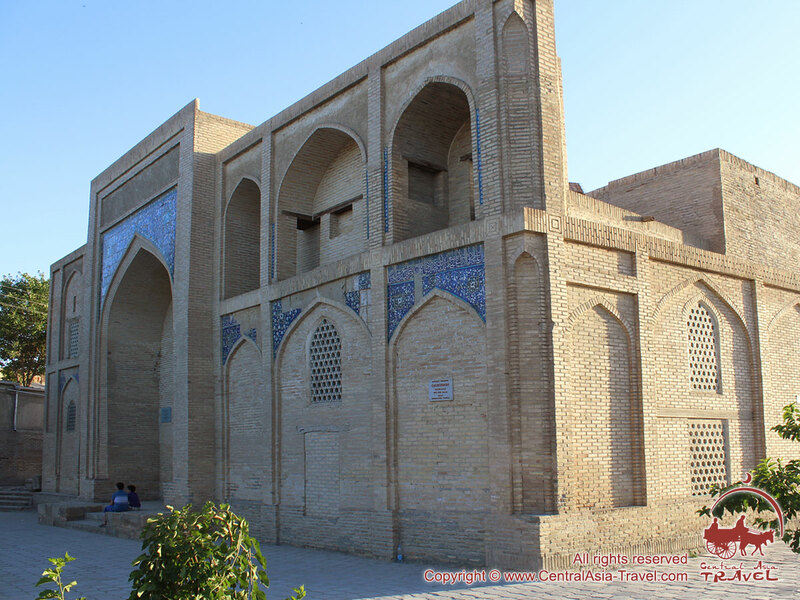 Khodja-Gaukushan is one of the largest architectural ensembles of old Bukhara, a UNESCO World Heritage site. 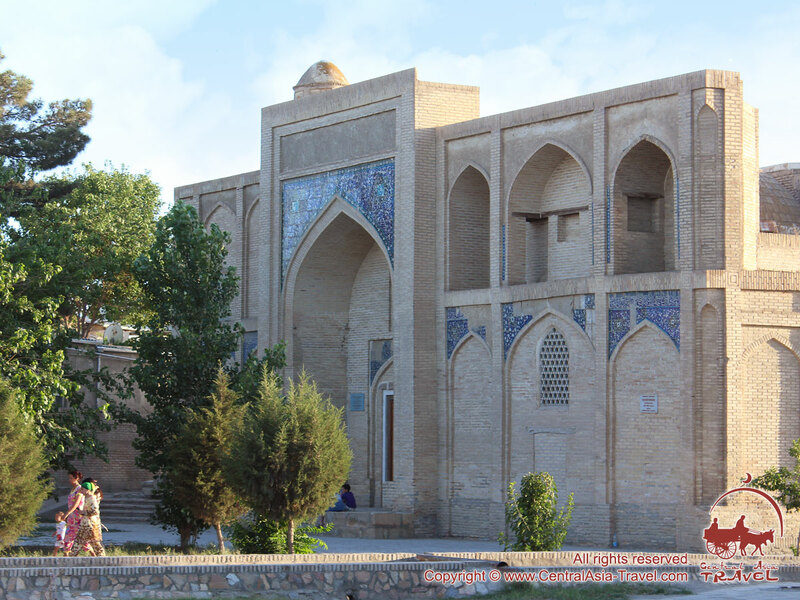 The name of the ensemble is quite interesting; it means ‘killing bulls’ because of its location: it stands on the site that had been a butchery before it was constructed. 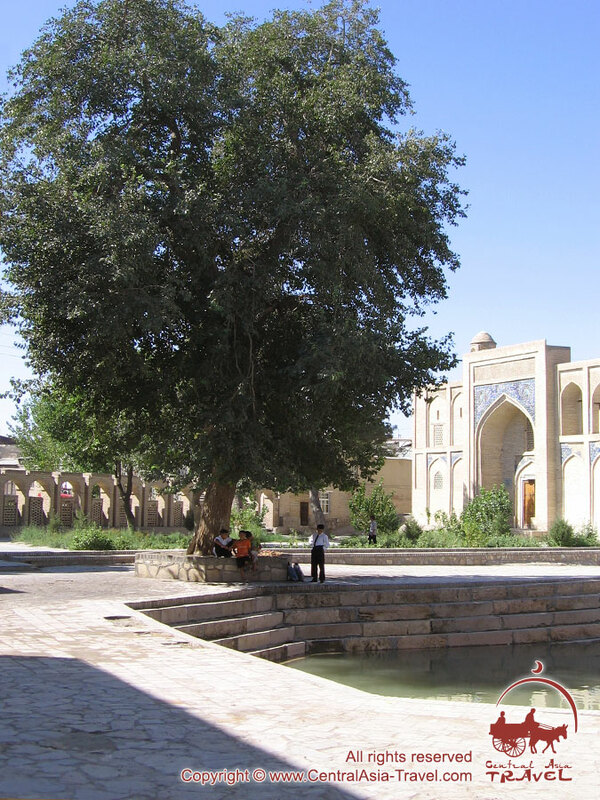 The ensemble in Gaukushan Square was built upon an initiative of the Djuybar sheikh Khodja Saad nicknamed Khodja Kalon who the first part of the name of the ensemble came after. 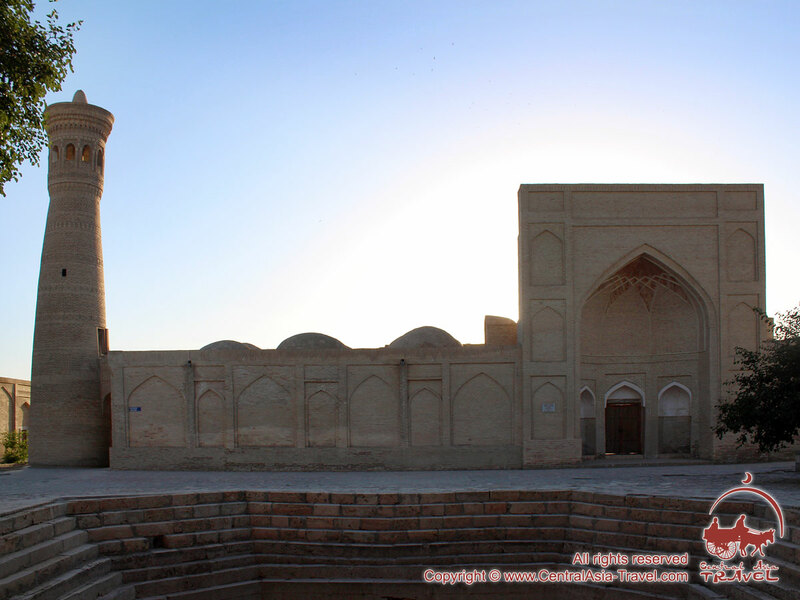 The ensemble consists of a madrasah and a mosque with a minaret tower which is behind only Kalyan Minaret in height. 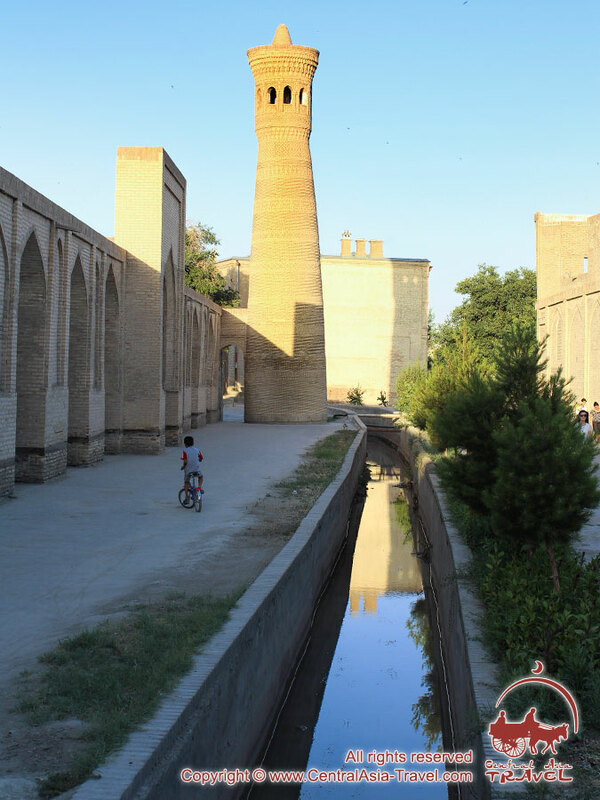 The madrasah having the traditional yard layout was built on a road fork in 1570. 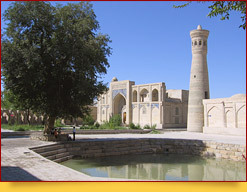 The Friday Khodja Mosque was built next to it in 1598.